B.E. / B. Tech, and M.E. / M. Tech / M.S. or equivalent degree in Electronics and Communication Engineering / Nanotechnology. Candidate must have obtained at least 65% marks or 6.5 CGPA out of 10. For JRF: Rs. 25,000/- per month + HRA for first two years and Rs. 28,000/- per month + HRA for third year. Desirable: Applicant should have preliminary knowledge/experience in nanostructure fabrication techniques, device fabrication / processing / characterization or related areas. Eligible candidate need to attend the walk in interview on the date given below along with one set of attested photocopy of all relevant certificates/marksheets and one passport size self-attested photo are to be produced with the application at the time of interview. Original Certificates shall be shown at the time of interview for verification. An advance copy of CV may be e-mailed to jaydhar@gmail.com on or before 10-10-. 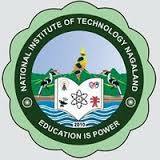 Junior Research Fellow Vacancy – Last Date 10 October, National Institute of Technology Nagaland (NIT Nagaland) recruits Junior Research Fellow Post. Candidates with B.E. / B. Tech, and M.E. / M. Tech / M.Sexperienced can apply.